Crescentina, is another delicacy from the Emilia Romagna region of Italy. It is one of Italy’s most famous and appreciate recipe. Crescentina is a really simple recipe: it is some bread dough fried that you can have with any sort of sliced cured meat (salame, mortadella, prosciutto, etc.) or soft cheese (gorgonzola, stracchino, mozzarella, etc.). But it is also delicious on its own. 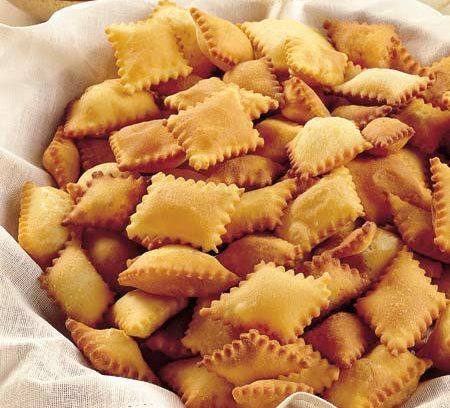 Even though the recipe is unique, it is a dish that can have many different names depending on the province: it is called crescentina in Bologna but in Parma, for example, it is called torta fritta, in the Reggio Emilia e Modena province it is called il gnocco fritto while in the province of Piacenza it is called chisulèn. It is simple and delicious. You can even make it home thanks to this recipe in English.